Hospital laboratories are the smallest share of laboratory locations yet its diagnostic test equipment run more tests than any other medical testing facility provider. Connectivity to lab equipment and the services enabled by that connectivity will increase total global laboratory test throughput to over 3.02 billion more diagnostic tests over the next 5 years. The medical testing laboratory market consists of hospitals, independent labs, physicians’ offices, and other labs. The benefits of increased lab efficiency cannot be understated: the diagnostic tests from these labs influence 70% of medical decisions ranging from treatment choices to hospital discharge decisions to early detection and prevention of chronic disease. “We have a small handful of high-volume hospital and independent labs performing the vast majority of these diagnostic tests, and it is crucial that these labs in particular utilize all available technology to maximize equipment uptime,” comments Ryan Harbison, Research Analyst at ABI Research. Another driving factor towards this increase in connected laboratory equipment, particularly in developed world markets, is and will continue to be a shortage of laboratory technologists in the labor force. As a result, laboratory technologists will handle greater and greater test workloads. Those laboratories that do not utilize IoT services will soon start adopting them so that technologists can focus on performing additional tests and not on equipment troubleshooting or maintenance. “Any downtime in these machines creates a substantial backlog and logistical headache for laboratories both large and small,” remarks Harbison. 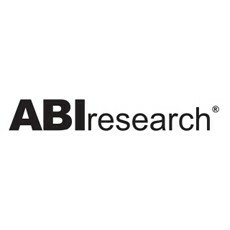 These findings are part of ABI Research’s mHealth Wearables, Platforms and Services Market Research.